What is the purpose of the sprung boundary posts? Previously, if a driver accidentally hit a parking post, it meant certain damage to the car and a death sentence for any parking bollards in the firing line. Now, this parking post is here to help alleviate those concerns. Designed to bend on impact in order to prevent damage, scratches and dings, this parking post marks boundaries but is built to be forgiving to drivers who make mistakes. Where can this Parking Post be used? This bollard is ideal for use in temporary and permanent car parks, and along footpath and pedestrian areas. 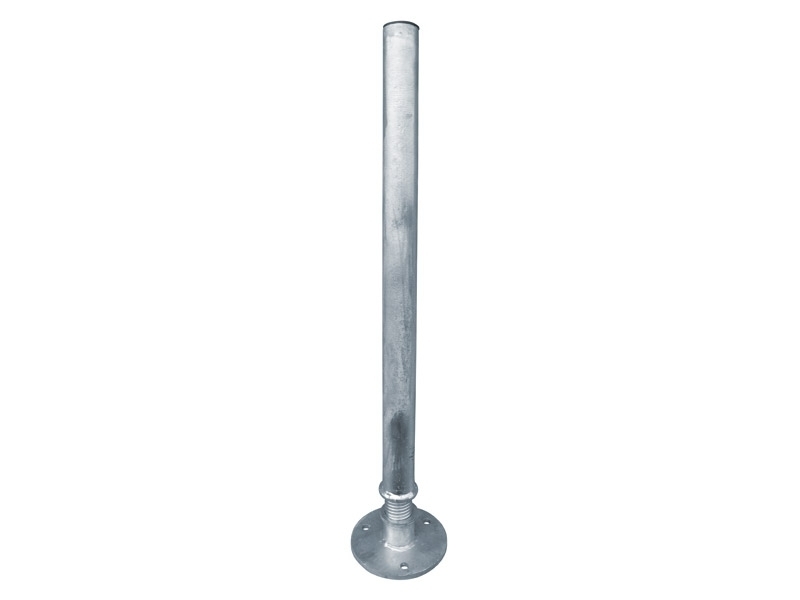 The galvanised finish ensures this post will cope with all weather conditions. Additionally, the parking post is designed to snap back into the vertical position after impact. Who might use this Boundary Post? 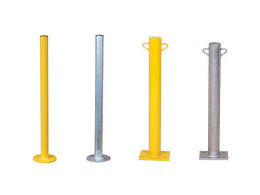 This product is one of the steel bollards designed to be used by property owners and businesses that want to protect their parking areas and provide clear boundaries for drivers. When a driver dings his or her car on a rigid parking post, the driver often becomes angry with the person who owns the post. With this parking post, however, drivers will not damage their cars and business and land owners can rest assured that parking areas are clearly marked. A complimentary addition to any kind of parking premises are parking barriers, removable bollards, and telescopic bollards. This parking post offers free next day delivery and a 1-year warranty. Each post is flanged, with 3 holes designed to accommodate 10mm x 100 mm bolts. The pole’s dimensions are 750 mm high and 48 mm wide when surface mounted. The pole weighs 4 kg, which makes it a sturdy and formidable piece of equipment for all of your parking needs.